“Henohenomoheji” is a face drawn with seven hiragana characters, he, no, he, no, mo, he, and ji. 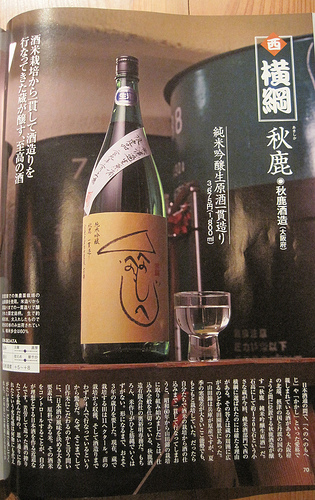 It is a popular doodle face and also typical face of kakashi, a scarecrow. “He” are the eyebrows and the mouth, “no” are the eyes, “mo” is the nose, and “ji” is the outline of the face. 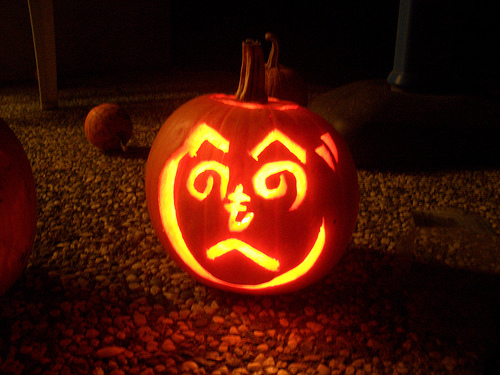 You never know where you find “henohenomoheji.” Maybe on a pumpkin (like the first picture), or on a sake bottle. There are variations of the “henohenomoheji” face; for example, “hemehemekutsuji” looks a girl with eyelashes. Because there are 46 Hiragana characters and twice more if includes Katakana characters, all kinds of faces can be created. It would be interesting to make faces with other kind of characters too.